Sunday our plan was to go to Amy's for dinner but she has been swamped getting the house ready for Ting and Tony and we had just picked up our chickens from the processor so I asked her to come over to our house instead. She brought fruit, rolls, mac salad, pea salad, coleslaw and cake...I had Frank throw chicken on the grill LOL. Mighty big of me to invite them over huh??? 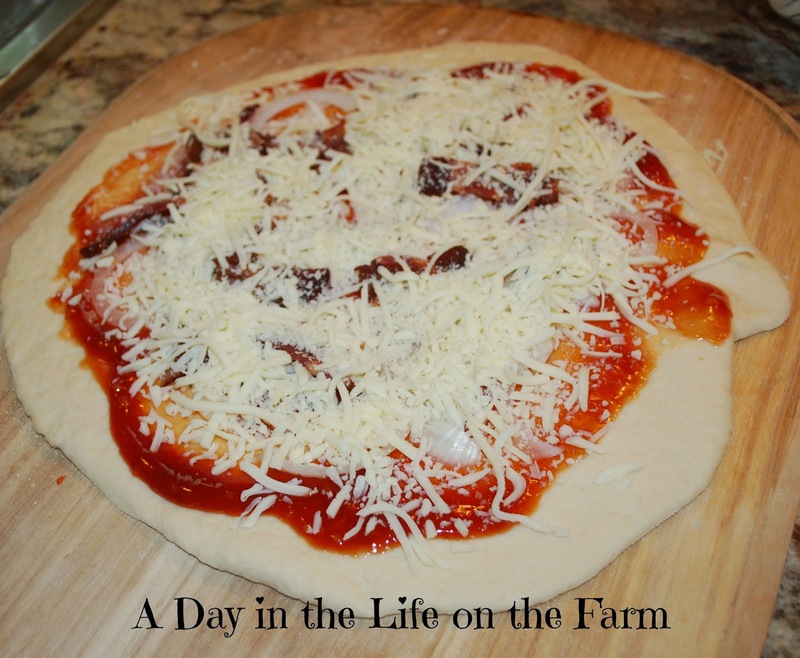 Today was the day I had scheduled to make chicken on my Weekly Menu but now I have leftover chicken in the fridge from Sunday so I am changing my Try it Tuesday Menu to a new pizza that I am going to create using up the leftover chicken. This will also take care of my Year of Pizza challenge for this month. 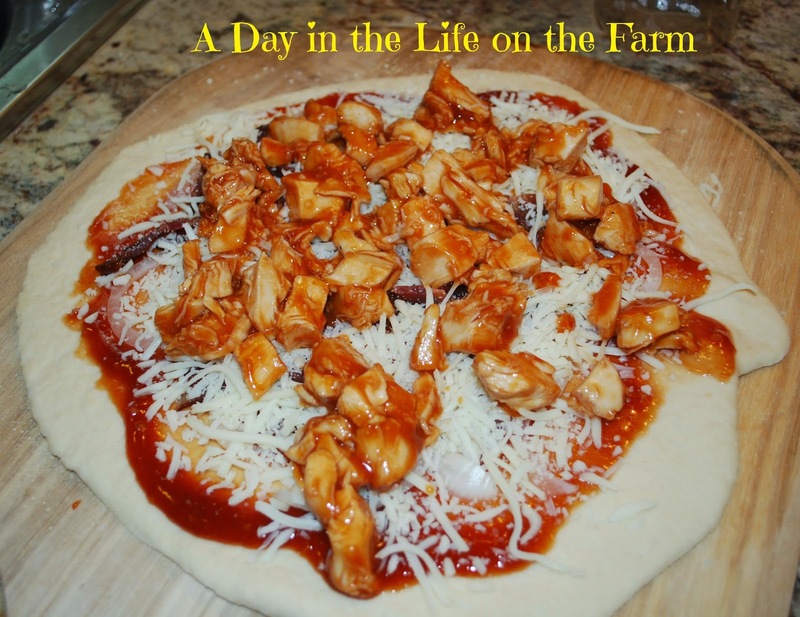 I am going to make a bbq chicken pizza using Frank's homemade bbq sauce. We will see how it turns out. 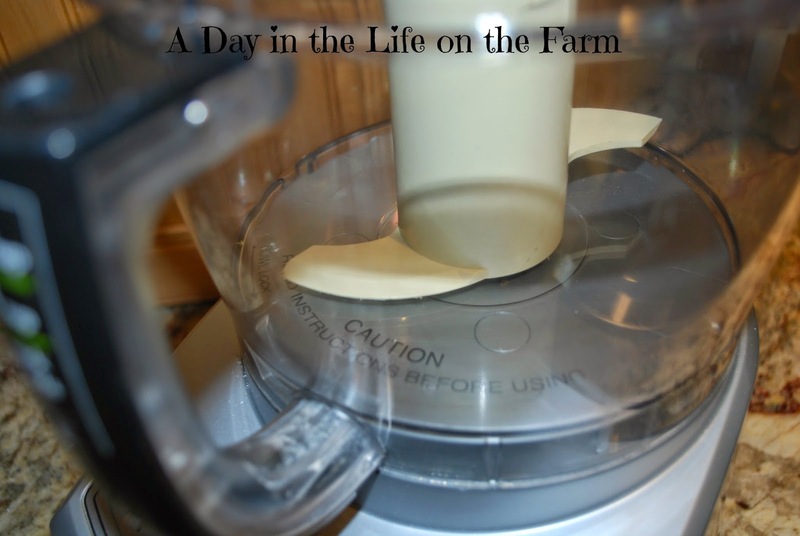 I made my dough in the food processor today. This is the quickest and easiest method I have found. Fit the large bowl with the dough blade. Put the flour and salt in the bowl. 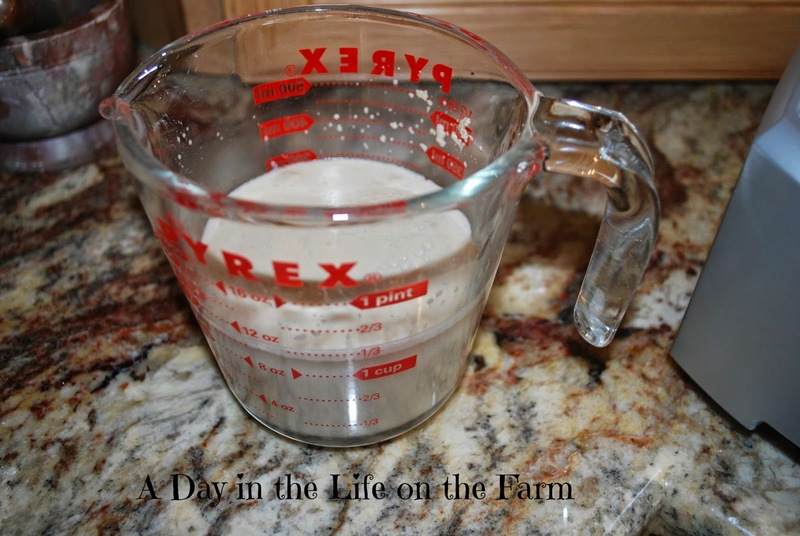 Dissolve your sugar and yeast in warm water. Let it set until foamy. Once foamy, turn on your processor and while it is running pour the yeast mixture slowly into the flour using the pouring tube. The dough will gather together. Keep processor running for another half a minute to knead the dough. Place the dough in a bowl that has been sprayed with olive oil. Roll it around to cover all sides. Cover with a damp towel and let rise in a warm spot for 45 minutes. Turn onto a floured board and punch down. Divide into thirds and let rest for 5-10 minutes. 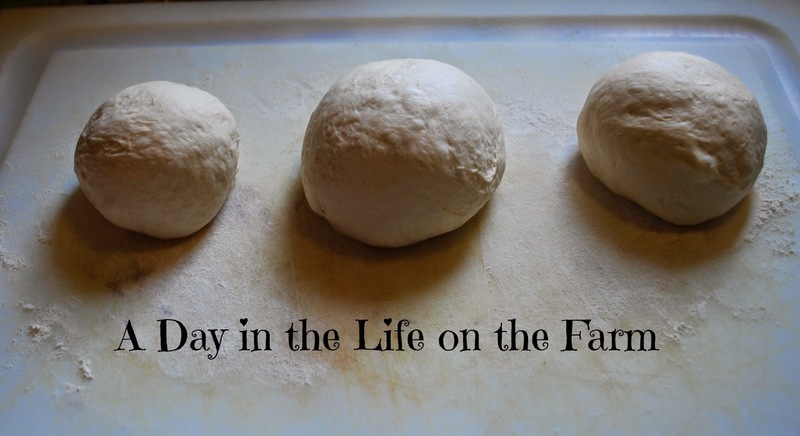 I am only making 2 pizzas so the third ball of dough will go into the refrigerator to be used for another day. 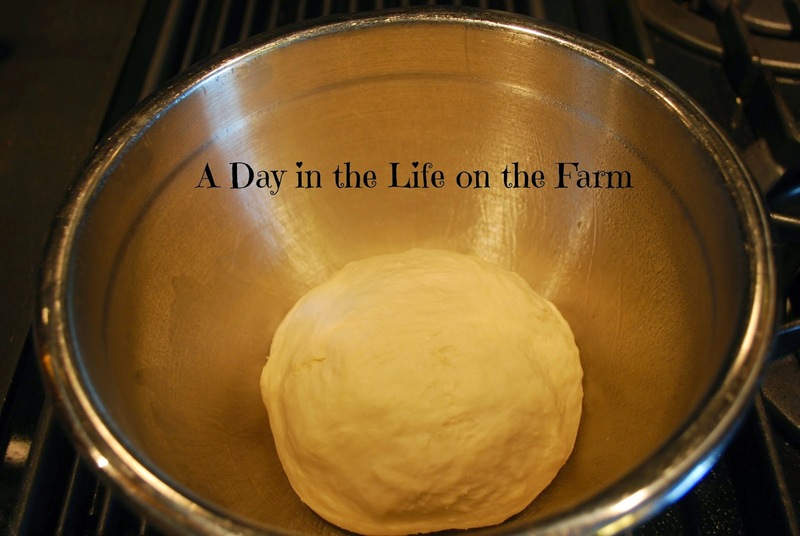 Roll or press the dough into a round. I placed one onto a pizza grill pan that I bought last time I was invited to a home party and had no idea what to buy and the other on my pizza peel to go right onto the grill. We will see which turns out better. I put down a layer of bbq sauce and then I looked in my fridge to see what I had. I had some onion and some leftover bacon, so I threw that on there. I topped that with shredded Mozzarella cheese. And then put the chicken in bbq sauce on top of that. Frank looked and asked if I thought that was enough cheese. I said that was all the Mozzarella I had. He went into the fridge and found some Provolone to throw over the top of the pizza. Place on a hot grill for 10-15 minutes, until crust is crisp and golden brown. The one cooked directly on the grill turned out much nicer than the one cooked on the grilling pan. Perhaps I can use the pan for grilling shrimp or vegetables that would fall through the grates on the grill. Turn the Grill to high heat and close lid allowing it to get very hot. When dough has doubled in size turn out onto a floured board and punch down. 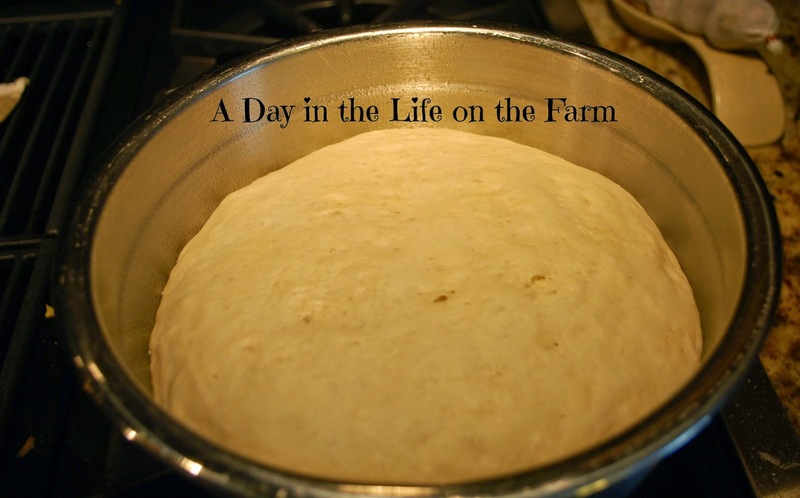 Divide the dough into thirds and allow to rest for 5-10 minutes. 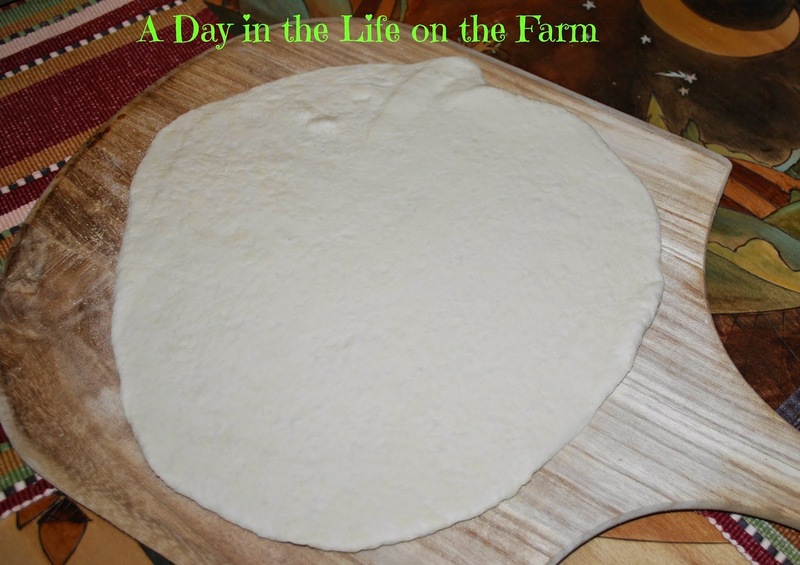 Roll or pat the dough into a round and place onto a pizza peel that has been sprinkled with corn meal. Toss chicken with 3/4 c. of the barbecue sauce. 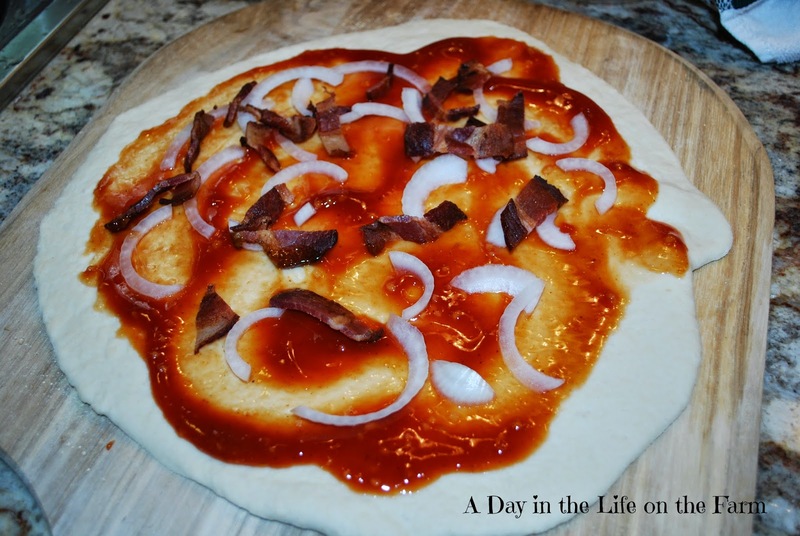 Place half the remaining bbq sauce on the pizza dough spreading in the center and leaving about an inch between the sauce and the edge of the dough. Sprinkle half the bacon and half the onions on the pizza. Sprinkle half the Mozzarella cheese on top. Cover the cheese with half the chicken in bbq sauce and cover the chicken with the Provolone Cheese. 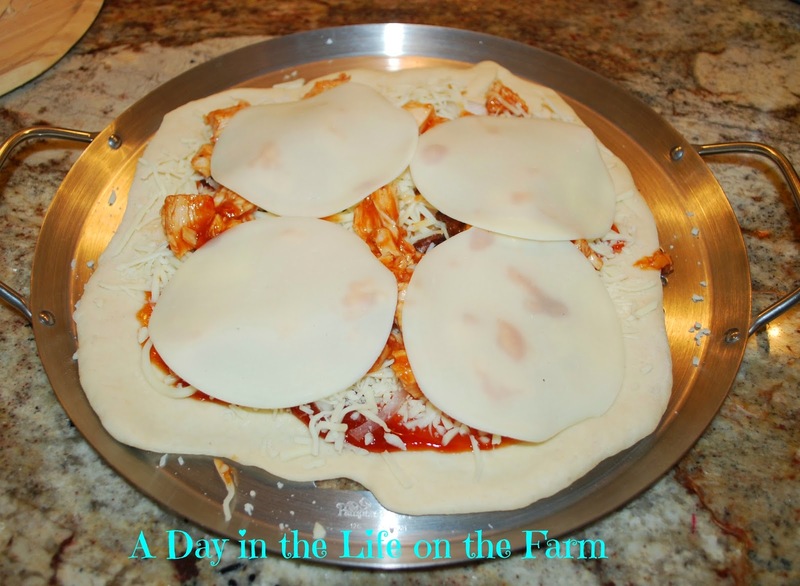 Slide Pizza off the peel onto the hot grill and close the lid. Grill with the lid closed for 10-15 minutes, until the crust is crisp and golden. It's a good thing you made two because I could eat one all by myself!!! Yes...they were gone in a flash. They were delicious Dana and a great way to use up leftovers. I have never grilled pizza before, but now I am inspired! PINNED! I hope you enjoy it Kelly. I love a good grilled pizza and these flavors look delicious! It was really delicious, Amy. Well that just made my day!! I'm Looking Up Today and it is a Touching Sight.